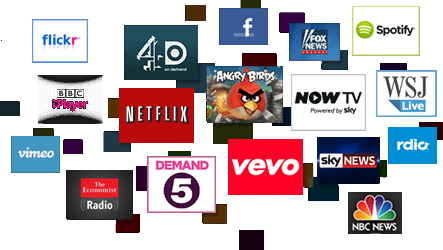 With over 750 channels and counting, Roku players offer the deepest selection of streaming entertainment from top channels such as Netflix, NOW TV, Sky Sports, BBC iPlayer, ITV, 4OD, Demand 5 and many more. There are hundreds of free channels, subscriptions services like Netflix, NOW TV, and all of the catch-up channels, including: BBC iPlayer, 4oD, Demand 5 and ITV. You can even rent or buy the latest blockbuster film or your favourite TV shows with Sky Store. All the best entertainment is waiting for you on Roku. This small. That fast. 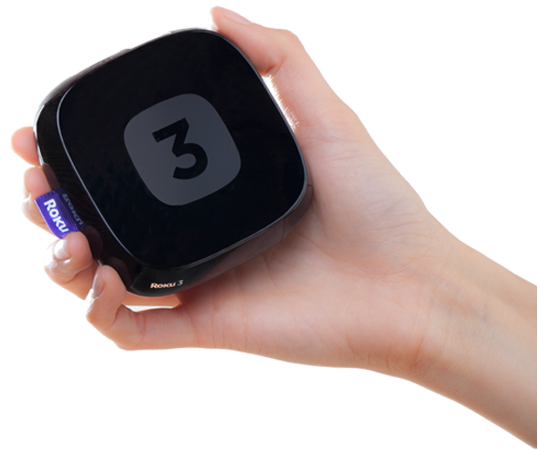 Roku 3 is the most powerful, responsive streaming player Roku ever built! It features the latest wireless technology for even better performance in more rooms in the house. And it can stream a movie using less power than a nightlight (and 30 times less than a popular game console). Wow. There are no recurring fees for using our players, and every player is packed with hundreds of free channels to enjoy right out of the box. While we don't charge a monthly subscription, some of our channel partners do. You choose what you pay for and what you don't. When you need to keep the volume down but still get your TV fix, Roku 3 and Roku 2 both feature an enhanced remote with built-in headphone jack. Just plug in the included in-ear headphones to enter your own private listening world. It's perfect for cranking up that late-night action movie without waking the spouse. Or kids. Or dog. Need a break from the movies? 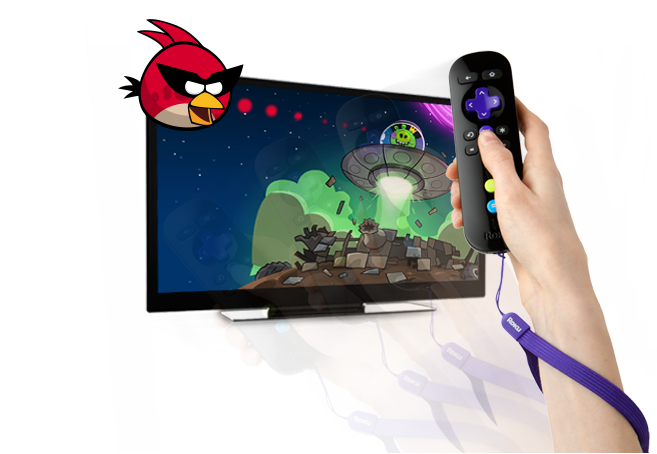 The Roku 3 enhanced game remote features game-ready buttons and motion-sensing technology that lets you play games with a simple flick of your wrist. Top titles available include Angry Birds Space and Jeopardy. Subscriptions or other payments may be required to access content on certain channels. For example, Netflix requires a paid subscription, which gives you access to movie and TV show titles in the Netflix streaming catalog. Some channels may not be available to all households in every market or in all countries where Roku players are sold.